Hello summer! It's our top 8 swimwear brands for babies and kids! Hello summer! It’s our top 8 swimwear brands for babies and kids! The weather is warming up and summer holidays are looming where long lazy days are spent poolside or splashing in the shallows at the beach. Whatever your preference – cool pool tiles or the sand between your toes – you’re going to need to kit the kids out in swimwear. Click on through to reveal our swimwear roundup. 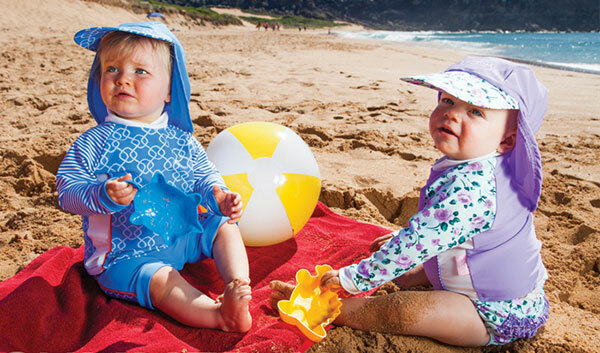 Babes In The Shade know our harsh Australian sun and have developed an awesome collection of UPF50+ swimwear that allows kids to splash about while safely warding off the sun’s harmful rays. The fashionable collection includes amazing prints and covers the whole board with long sleeve sunshirts, rashies, swimsuits, briefs, board shorts and coordinating hats all available for girls, boys and women. Free shipping Australia wide really seals the deal! A favourite of Aussie parents, Platypus Australia offer a collection to fit children from as small as a size zero, up to teens in a size 14. 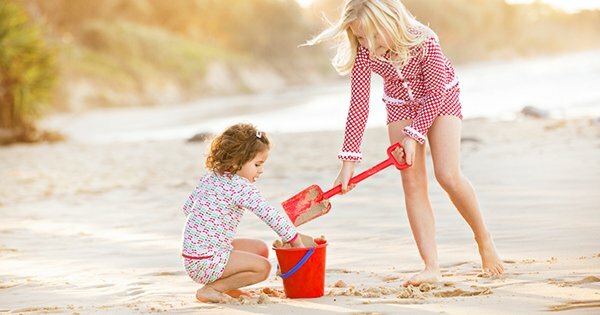 A broad range of UPF50+ sunsuits, sunshirts, swimsuits and everything in between, you can find it all here in the Platypus Australia collection designed for kids who want to be active, comfortable and stylish, as well as being sun smart. The gorgeous European styling of Sunuva swimwear makes for very fashionable frolicking in the sun. You can just about kit out your children’s complete summer wardrobes with not only some super stylin’ swimmers but shoes and beachwear also. 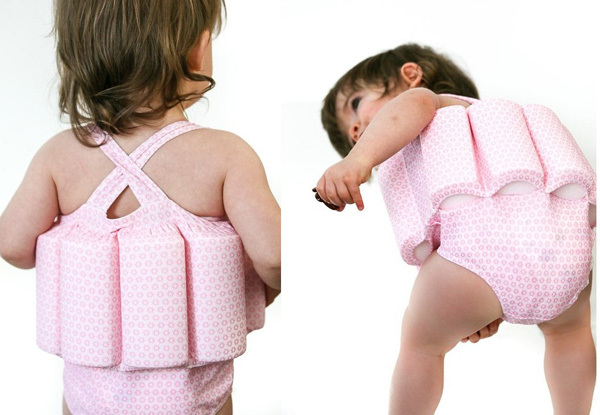 We adore the cute as a button swim nappies, Happy Nappy from Little Togs. Available in a bounty of fun summer designs and styles, they’re in sizes to fit the smallest of tushes from newborn right up to a 16kg+ toddler and puts an end to heavy disposable nappies in the water. Little Togs also has a sensational UV Float Suit which is perfect for children still working on their water confidence. Completely Australian designed and made, I love the colourful print big apple print of the Retro Apple Rash Vest from Lil Ludy. Made from quality SPF50+ lycra, they even pledge that their rash vests, swim nappies, two-piece sets and one piece togs won’t fade or stretch out of shape. The crew at Cuddlefish also have a float suit in their swimwear ranks that’s cleverly designed with removable floats. The idea being as your child gains more and more confidence in the water, the floats can be removed so they’re not dependent on them – inbuilt and adjustable buoyancy, what an awesome idea! 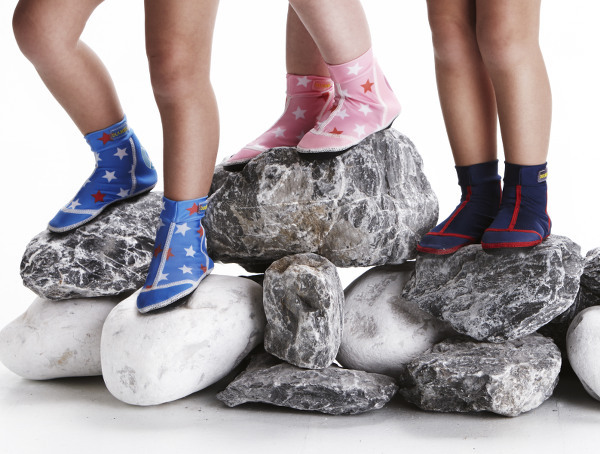 I feel Duukies beachsocks deserve a place in our swimwear roundup since, without covered feet, we would never have got our youngest beyond the beach carpark, so much did he hate the feel of sand and seaweed under his feet in the early days! 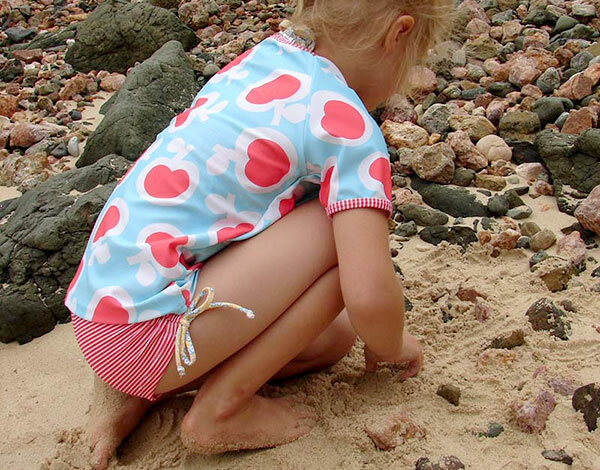 If you know of any other awesome swimwear for kids, we’d love to hear your suggestions – just drop them in the Post a Comment box below and we will be sure to check them out.